Recently I made a post on All in One SEO Tool for Blogger Blog , right here in this post where going to look into how we can setup blogger's blog SMO i.e. 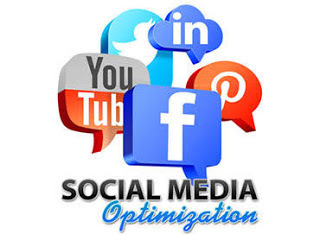 Social Media Optimization. There are various social media website nowadays such as video sites like Youtube, Social networking sites like Facebook, Twitter, Social bookmarking sites like Stumble Upon, Reddit and many more. This All in One SMO Tool and All in One SEO Tool for Blogger Blog are alike. The two tools is a must have on a professional blog. In the left menu, tap "Theme" >> "Edit HTML"
FACEBOOK-APP-ID with your facebook app id. You can get at https://developers.facebook.com. all you need to do is just create your app and get the ID. twitter-id to your twitter Id. After Changing all what is changeable then Tap on "Save Theme"
Show some love by dropping comment, subscribe to our newsletter and share with other bloggers that might need this tool. Hurrah! At last I got a website from where I can actually obtain valuable data concerning my study and knowledge.